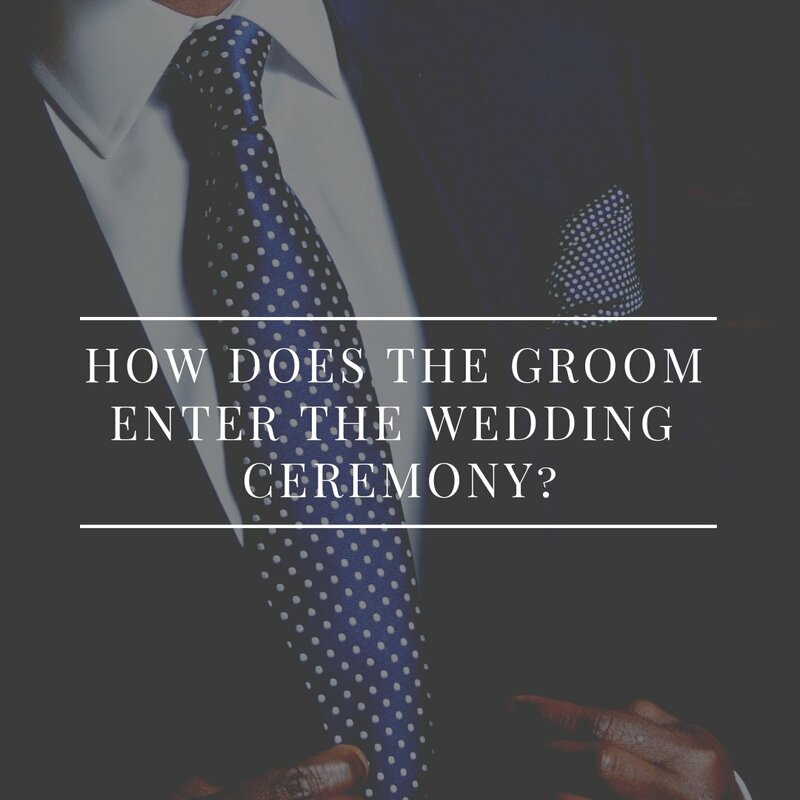 Have you thought about whether the groom will walk down the aisle to seat his parents or will he be already standing up at the front along with the groomsmen? 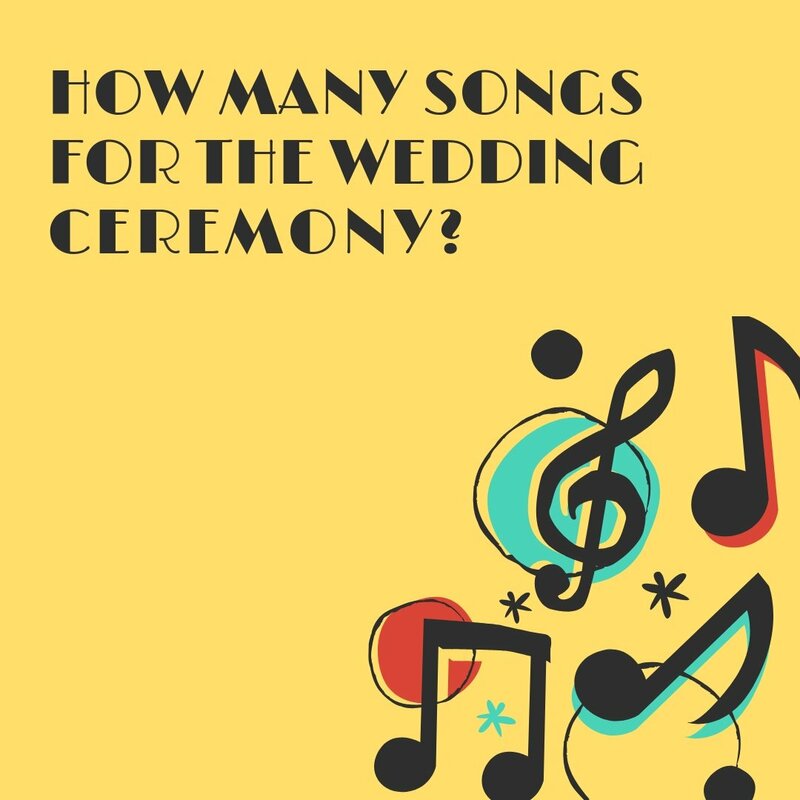 Do you know how many songs you need for the entire ceremony? You will need to obtain a marriage license to get married in Ontario. To obtain your marriage license it must be within the 90 day period of your wedding date. The marriage license can be picked up in person in any city in Ontario. It takes roughly 20 to 45 minutes to pickup the marriage license in person. A single partner can complete this process, granted that he/she has completed marriage license application and two pieces of photo I.D for both applicants. This PDF application form may be typed out on the computer or written. Click to Open. Each person applying for the marriage license must bring 2 pieces of acceptable government-issued identification (ID) from the list below. To have your middle name(s) included on your marriage license it must also appear on both pieces of ID. Health cards and S.I.N. cards will not be accepted. The price of a marriage license varies from City to City in Ontario. Outside of the city core, prices drop slightly. A wedding ceremony lasts anywhere from 15 to 40 minutes. 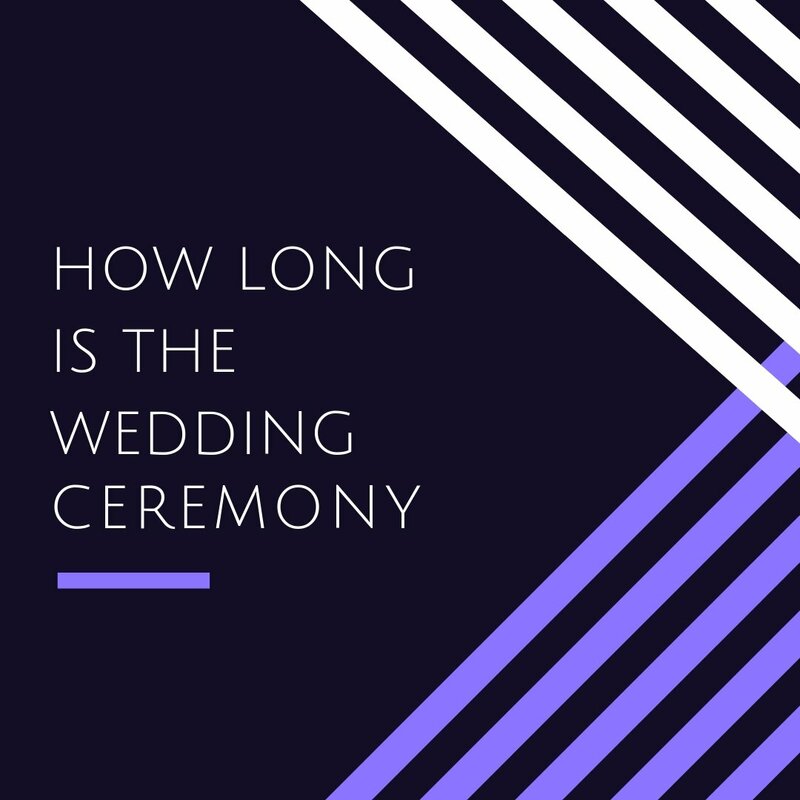 There are many factors to consider to determine the length of the wedding ceremony. 1. The reading and script that will be performed by the officiant. This part is usually 15 to 30 minutes. 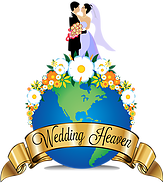 The officiant will speak on marriage and guide you through the vows and ring exchange. This can take place at the very start of the ceremony, before the vows or after the ring exchange. 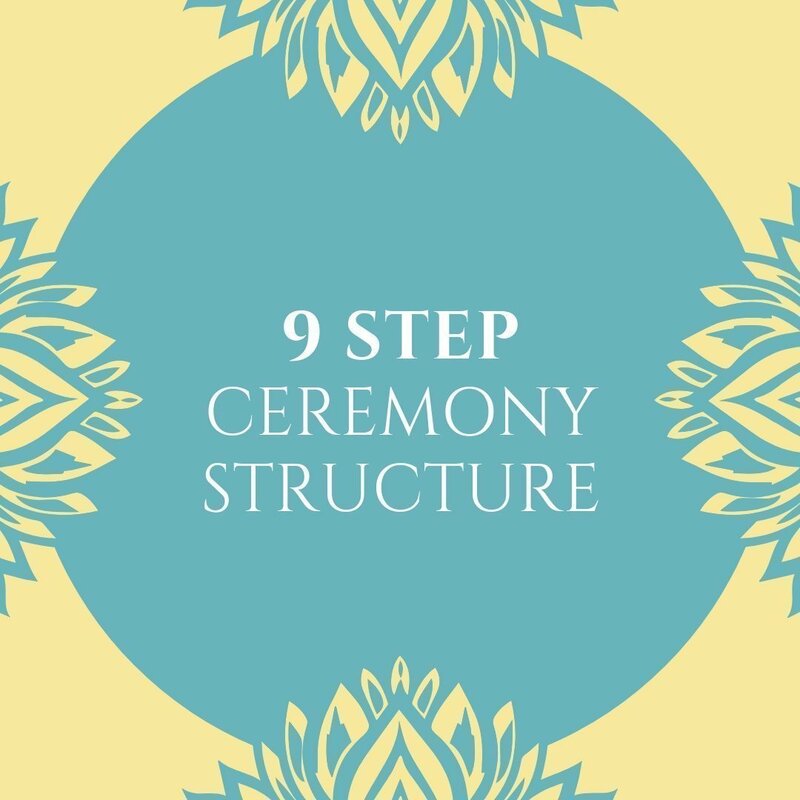 This may add an additional 2 to 3 minutes to your ceremony depending on the number of participants and the length of their reading or poem. 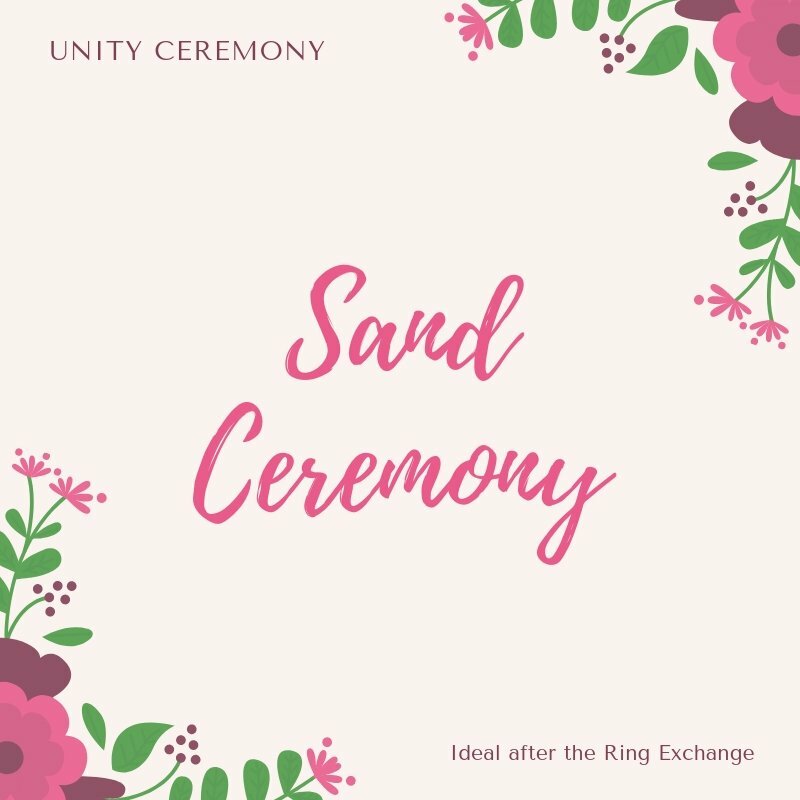 A unity ceremony typically takes 2 to 4 minutes to perform and may be performed after the vows and ring exchange. 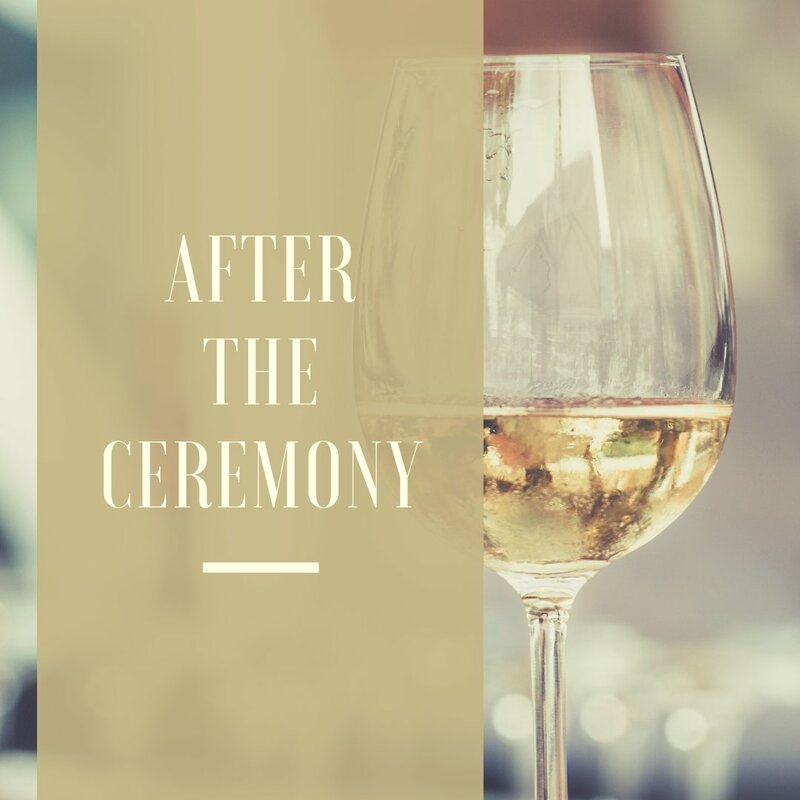 Incorporating religious and cultural elements into the ceremony can extend the ceremony length to a total of 40 to 45 minutes. Performing a rehearsal before the ceremony will help you pinpoint the total time that it will take for the bridal party and bride to enter the ceremony space. 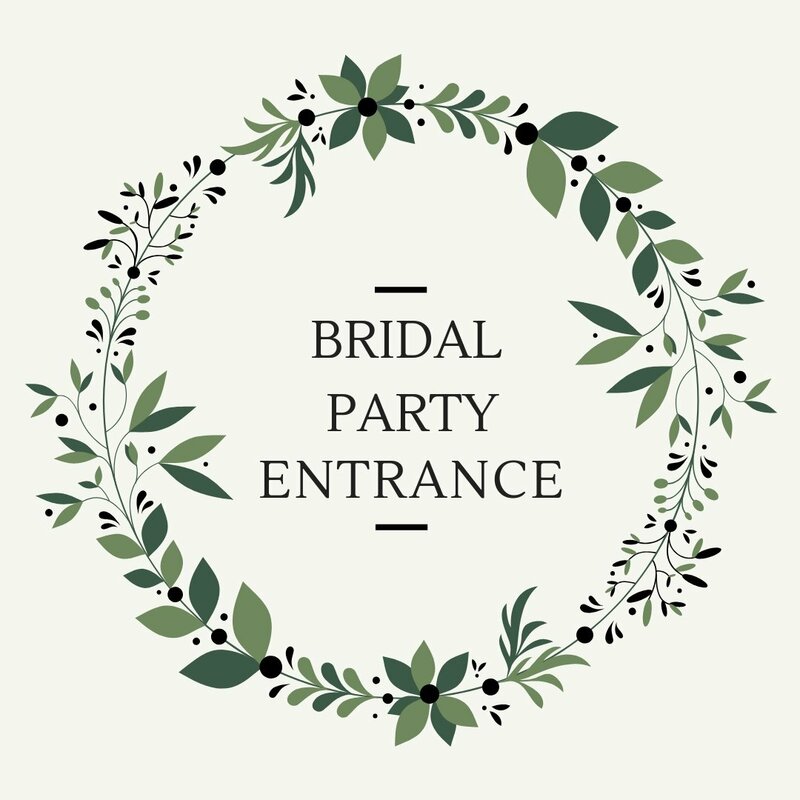 The typical ceremony entrance can take roughly 3 to 5 minutes. In Summary you should allocate a minimum of 30 minutes for your ceremony. This will give you a comfortable margin should things be running a little late at the start and not leaving you rushing post ceremony. Should I write my own vows and how long are they typically? Writing vows may be difficult for some and easy for others, It all boils down to your comfort level and your personality types. If you are naturally outgoing and are not shy speaking in front of people and expressing your emotions, I recommend you write your own vows. If you both feel it doesn’t reflect who you are and wouldn’t feel natural for you, then I recommend you repeat traditional vows. 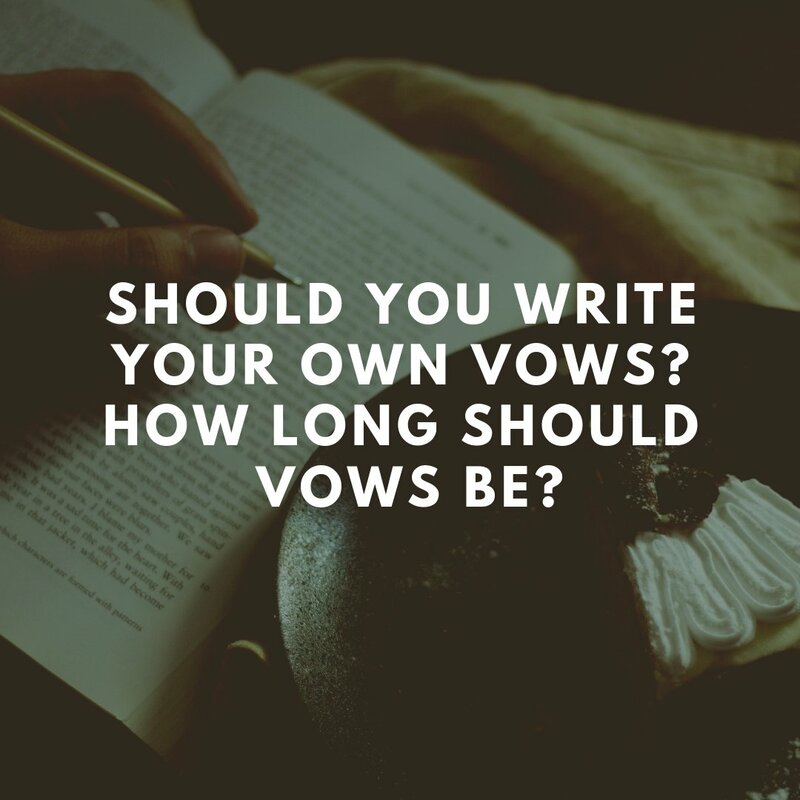 Personal vows can range anywhere from 30 to 120 seconds. They may be written in a mix of a story format and promises. Here is a sample of vows that would be repeated after the officiant. What Time Should I Put on my Invitations? I always recommend to couples that they either have specific instructions as to when they expect their family and friends to arrive and be seated. 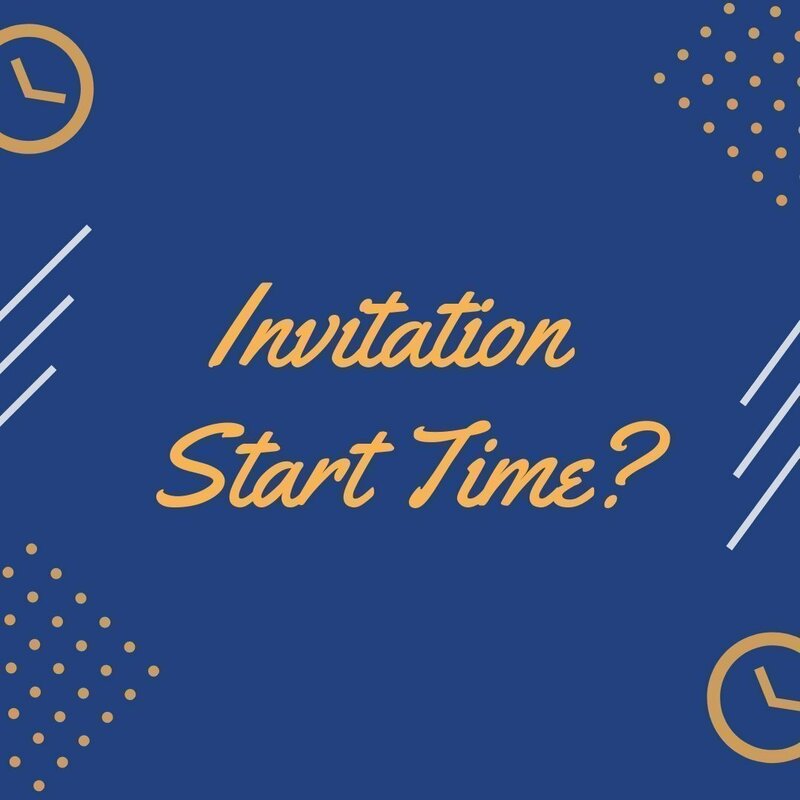 Simply writing on the invitation “Please be seated by.” or ” Ceremony starting sharply at 2 o’clock.” can help ensure your guests arrive at the time you wish to start. There typically is a grey area when the ceremony will actually start, that is why it recommend to add some details. 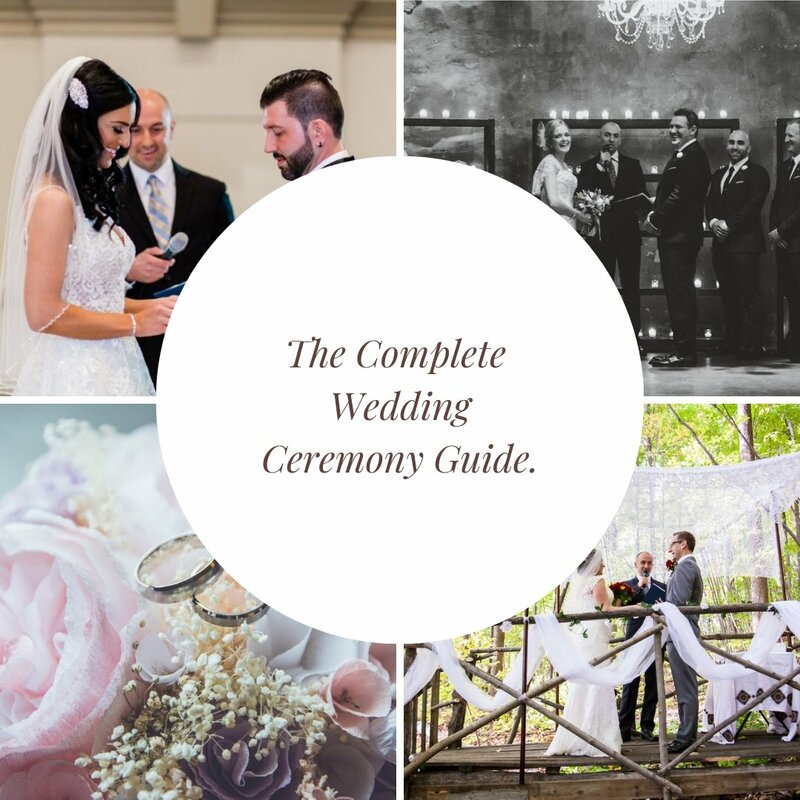 If your ceremony will be in a very busy area perhaps in Downtown Toronto, or at a Golf course where there is a really long walk to get to the ceremony space, it is then recommended to put a 15 to 30 prior start time on your invitations. This will help make your wedding day run smoothly without the stress and not having to rush through the ceremony, photo session and cocktail hour. 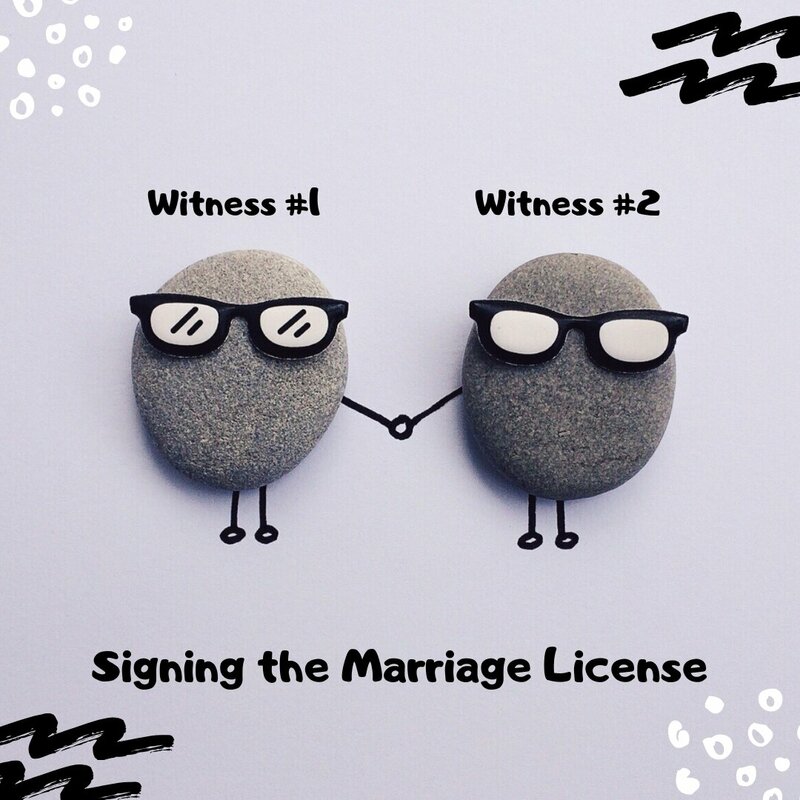 Who can my Witness be during the Marriage License Signing? Many couples assume it is only the Maid of Honour and Best man who can sign the marriage license. That is not the case, you can choose anyone to act as your witness for the marriage license signing, as long as they are above the age of 18 and are fluent in English. Many couples choose siblings or some times even friends who are not part of the bridal party. If a couple chooses to have a ring bearer walk down the aisle. Depending on his age and maturity, it is quite common that he will be carrying mock type rings. The real rings will already be with the best man or anyone else selected. 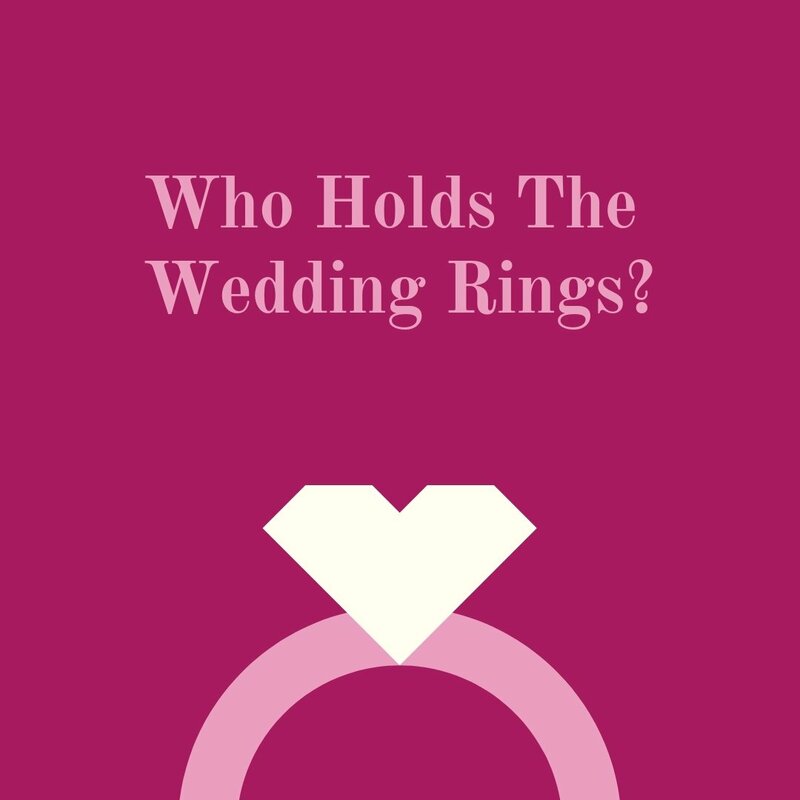 Typically the best man is the most common person to be in charge of holding and presenting the rings. The rings may be presented in a box, small pillow, pouch or in the palm of his hand. The ring exchange happens after the wedding vow exchange. How many Songs do I need for the wedding ceremony? You need 4 songs for the wedding ceremony. If the groom will be walking in with his parents you could have it be part of the first song or have a separate song which will bring you to a total of 5 songs. 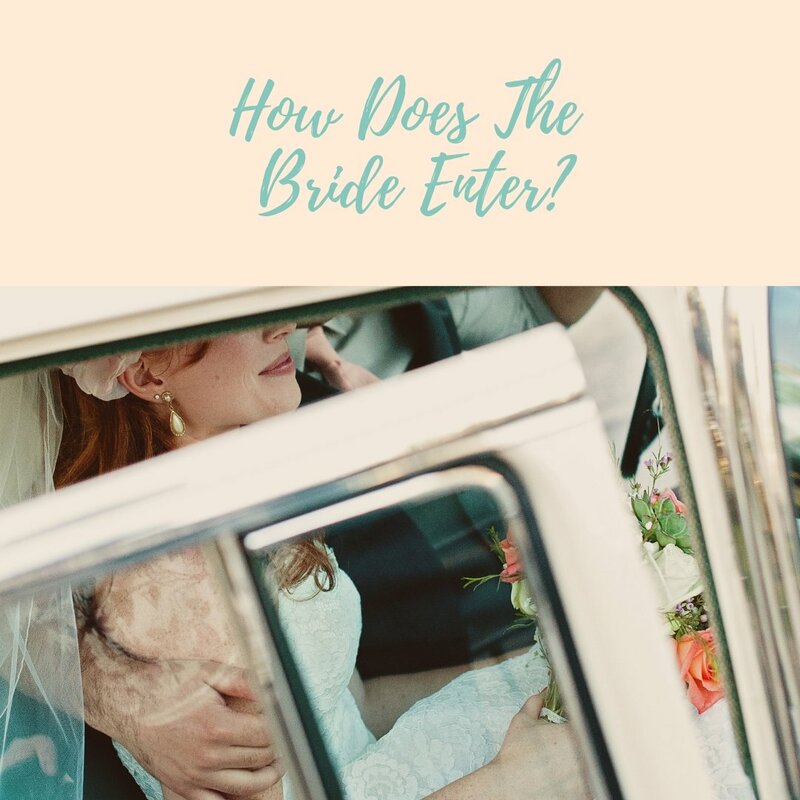 Some couples choose to combine the Bridal party and Brides entrance into 1 longer song with a break in the middle to signify that the bride will be entering. This will bring you to a total of 3 songs. 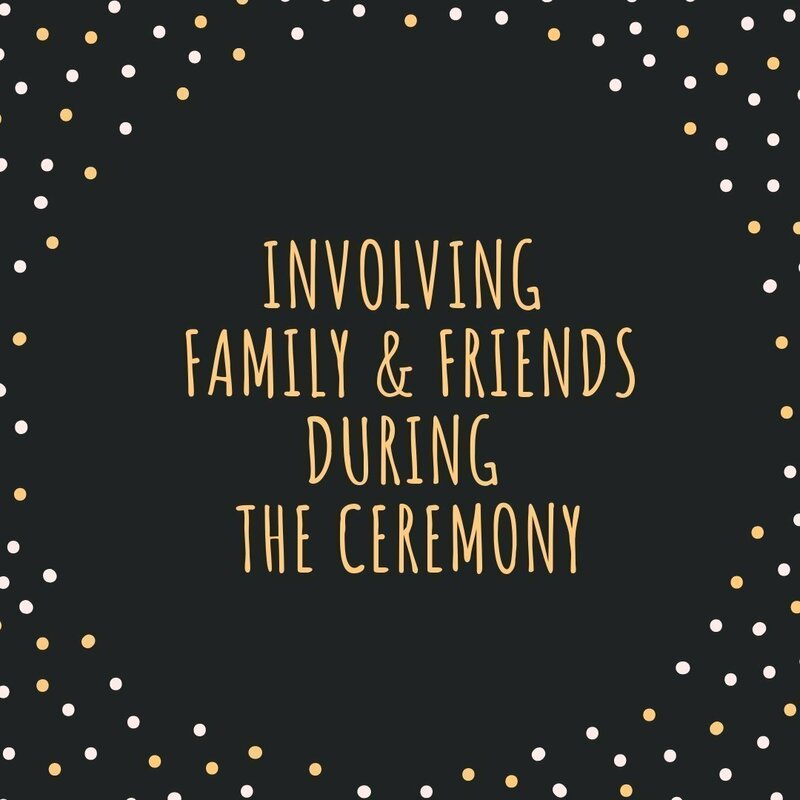 Also, keep in mind to have some music playing in the background before the ceremony is starting and your guests are being seated. How does the Groom Enter the Wedding Ceremony? 1. The Groom can walk down the aisle on his own. 2. The Groom can walk in with the Groomsmen, leading them up to the front. 3. The Groom can walk his Mother down and seat her. 4. The Groom can walk in with both parents. 5. The Groom can be waiting at the front. There is no best way to do it, it all depends on your comfort level and preference. With Father, Both Mother & Father or anyone of her choice. How can the Bride enter the Wedding Ceremony? 1. The bride’s grandparents have traveled from a distant country and she wanted to show her respect, by asking them to walk her down. 3. The bride’s best friends were a couple who set her up on a date with her husband now to be. Her best friends walked her down the aisle. 4. The bride can walk down the aisle on her own and meet the groom half way down the aisle. How does the Bridal Party enter the Wedding Ceremony? This is a personal preference. Here are some of the ways the Bridal party can walk in. 1. The Bridal party can walk in pairs and split ways as they reach the front to stand in their designated spots. 2. The groomsmen will already be at the front and the bridesmaids walk in individually to the front. 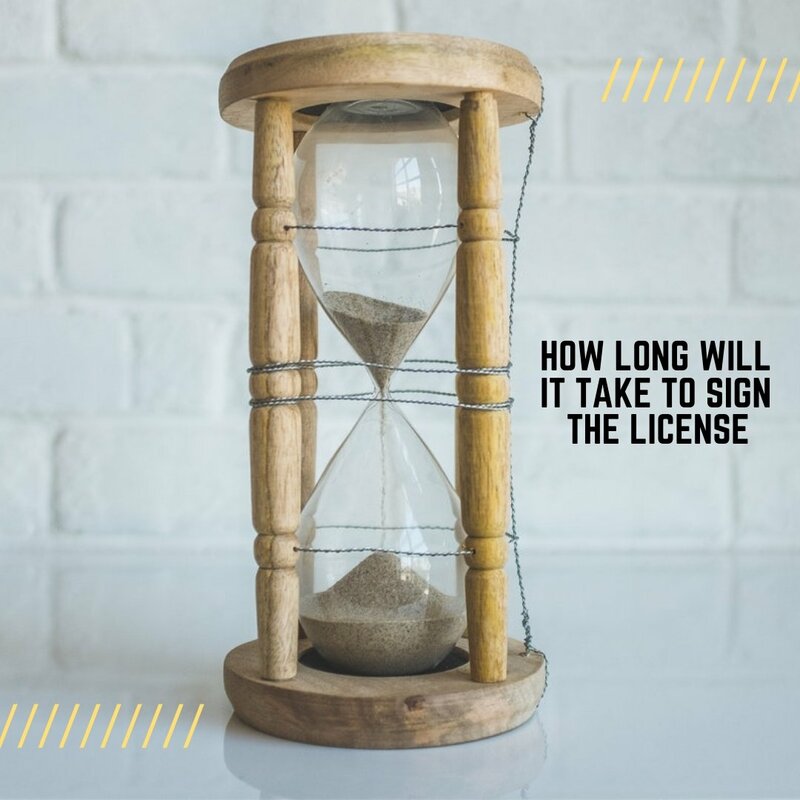 How long does the marriage license signing take? The marriage license portion can take anywhere from 2 to 4 minutes if the paperwork is pre-filled out prior to the start of the ceremony. If the legal documentation is not prefilled prior to the start it may take longer up to 10 to 15 minutes. That is why I arrive early to the ceremony to review the paperwork and have the marriage register prefilled. Doing so helps us save alit of time during or after the ceremony. It is also recommended to have some music playing in the background, something light and instrumental as were are completing the paperwork. are you ok with cellphone use during the ceremony? 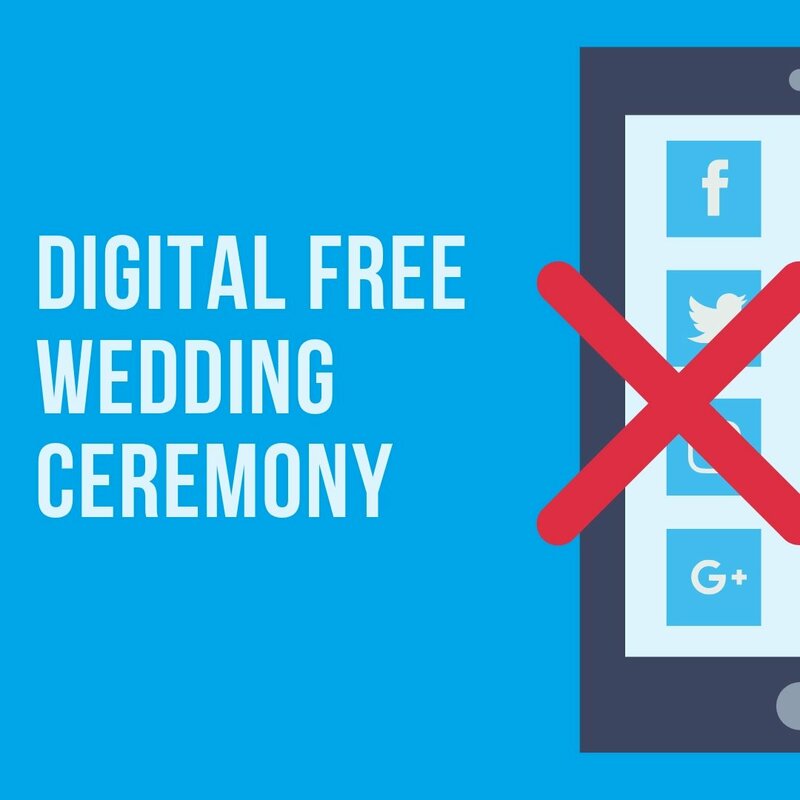 Will Your Ceremony be Digital Free? If you choose to have a digital free ceremony please let me know prior to the ceremony start so that an announcement may be made. Why would one choose to have a digital free wedding ceremony? 1. It distracts your guests from being present during the ceremony.